Zebrafish don’t look anything like us on the outside, but 70 percent of the fishes’ genes match up with similar versions in humans. That unlikely resemblance makes them useful for medical research. Plus, when you consider how quickly they grow and how little it costs to maintain them (the NIH facility above houses 100,000 of the little guys), it’s no wonder their use is on the rise. But to make them even more useful test subjects, scientists are developing robotic zebrafish that can dupe their real-life counterparts into thinking they’re alive and interacting with them naturally. 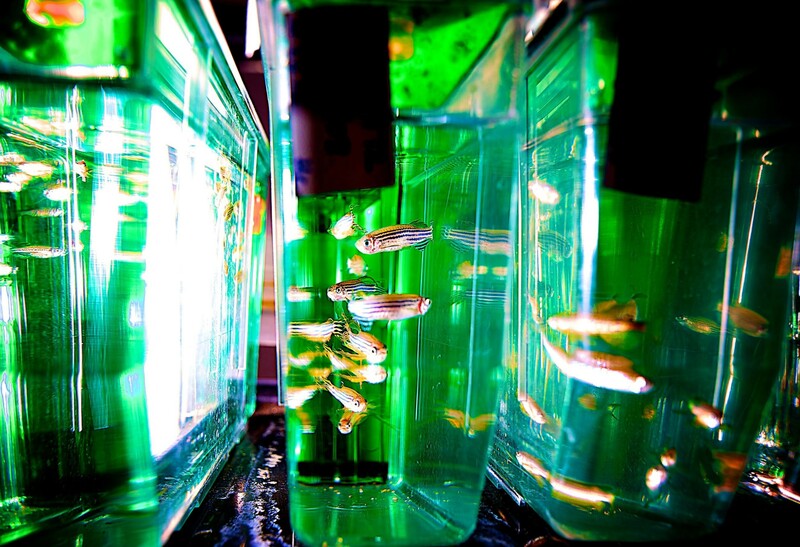 That way, researchers could use the robotic zebrafish to perfectly replicate the same stimulus every time (say, charging at a school of real zebrafish). By watching the reactions of the real fish, scientists could more accurately measure the effect of some drug, for instance. Such robots would make experiments more reliable and more affordable, but first they’ll need to be convincing. NYU engineers recently discovered a trick that brings their robots one step closer to passing as real. Fantastic post! I really enjoyed reading your post. Thanks for sharing your knowledge and keep up the great job.